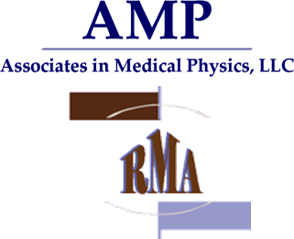 DEVON, PENNSYLVANIA – May 8, 2017 – L2 Capital announced that it has completed the acquisition of affiliated companies Associates in Medical Physics, LLC and Radiation Management Associates, LLC (collectively “Medical Physics Holdings” or the “Company”), together a leading provider of medical physics staffing and support services throughout the United States. The Company was founded more than twenty years ago by Betty Cameron, a former registered nurse, and Arnold Able, a clinical physicist. Terms of the deal were not announced. Medical physics is a branch of applied physics that focuses on the diagnosis and treatment of human diseases, but most notably cancer. The Company provides highly technical staffing solutions to major oncology centers, as well as machine diagnostic and related regulatory services to hospitals, independent centers, imaging centers and private practices. Univest Bank and Trust Company and Merion Mezzanine Partners provided the debt financing for this transaction. SC&H Capital was the exclusive financial advisor for Medical Physics Holdings. Shulman, Rogers, Gandal, Pordy & Ecker, P.A. provided legal advice to the Company. E. Cohen and Company provided accounting advice to the Company.